A selection in Parade's roundup of "25 Hottest Books of Summer 2018"
Dr. Janet Watson knows firsthand the horrifying cost of a divided nation. While treating broken soldiers on the battlefields of the New Civil War, a sniper's bullet shattered her arm and ended her career. Honorably discharged and struggling with the semi-functional mechanical arm that replaced the limb she lost, she returns to the nation's capital, a bleak, edgy city in the throes of a fraught presidential election. 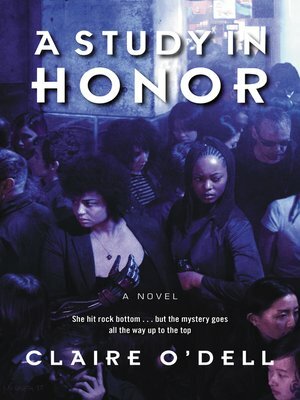 Homeless and jobless, Watson is uncertain of the future when she meets another black and queer woman, Sara Holmes, a mysterious yet playfully challenging covert agent who offers the doctor a place to stay. Watson's readjustment to civilian life is complicated by the infuriating antics of her strange new roommate. But the tensions between them dissolve when Watson discovers that soldiers from the New Civil War have begun dying one by one—and that the deaths may be the tip of something far more dangerous, involving the pharmaceutical industry and even the looming election. Joining forces, Watson and Holmes embark on a thrilling investigation to solve the mystery—and secure justice for these fallen soldiers.